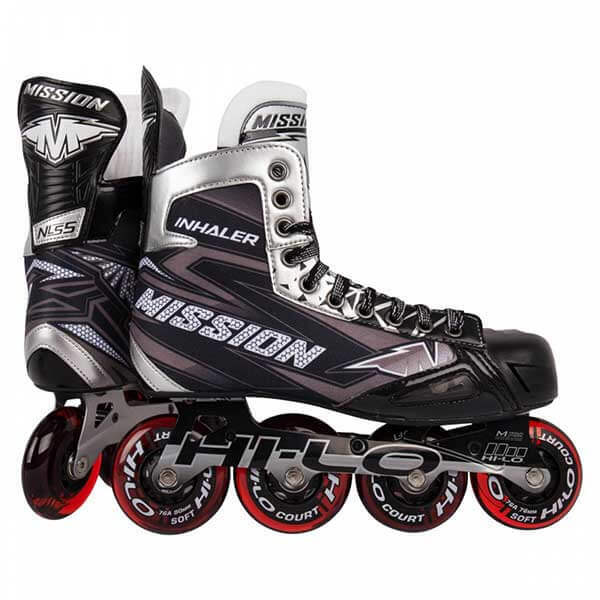 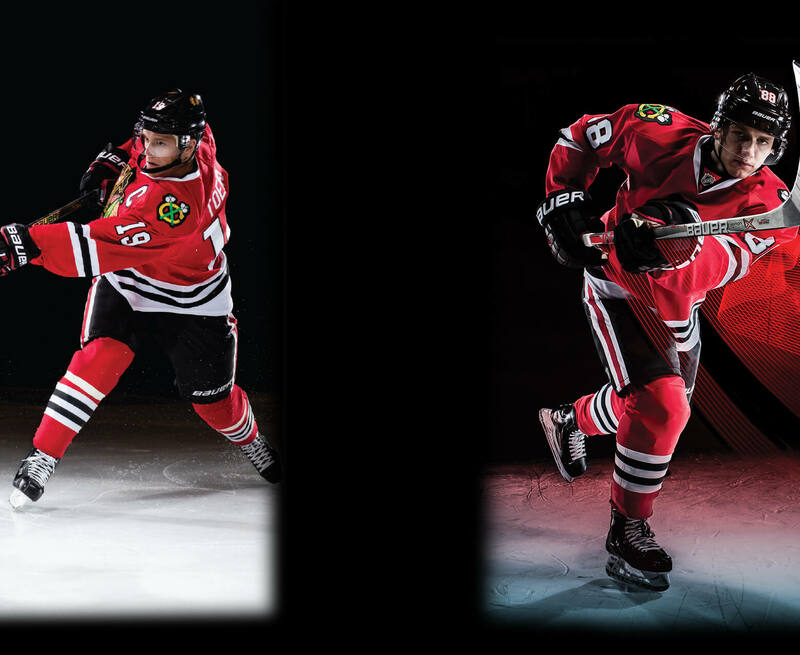 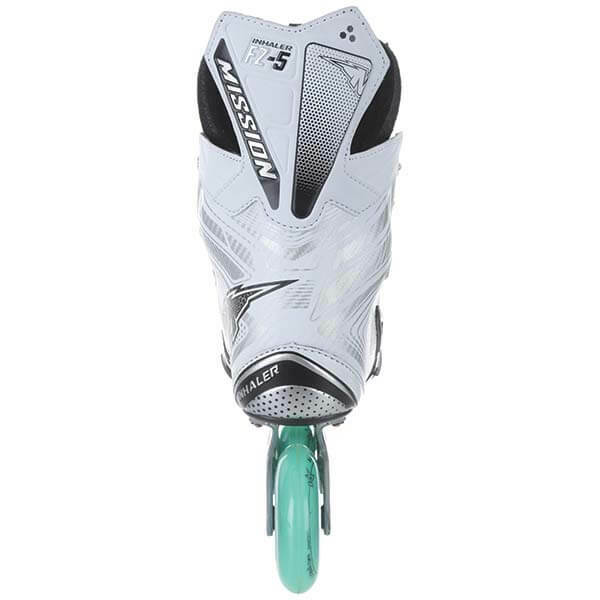 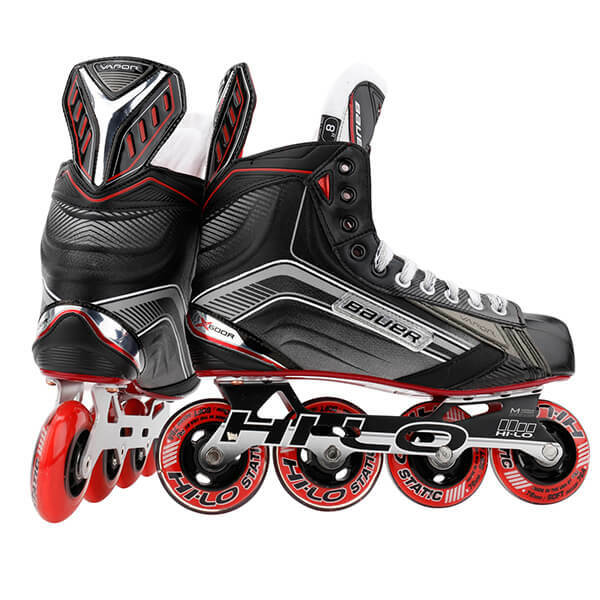 The Mission Inhaler FZ-5 Skate is an ideal choice for the competitive player looking for a great skate without breaking the bank. 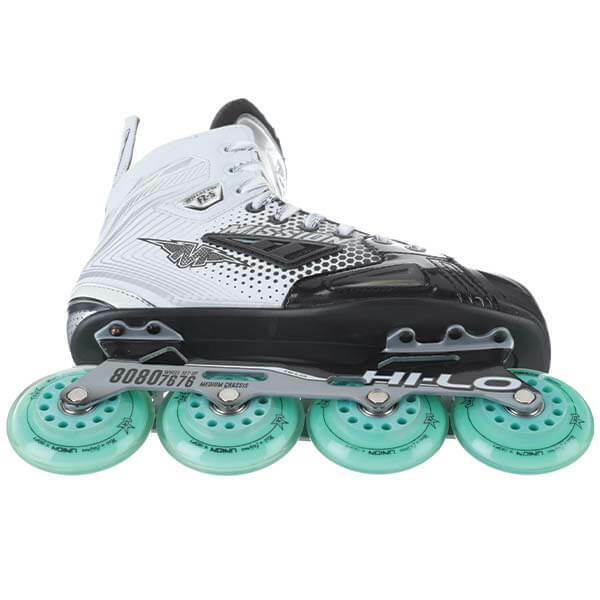 The True-Form Tech boot and its thick ankle foams provide an incredibly comfortable fit and feel right out of the box. 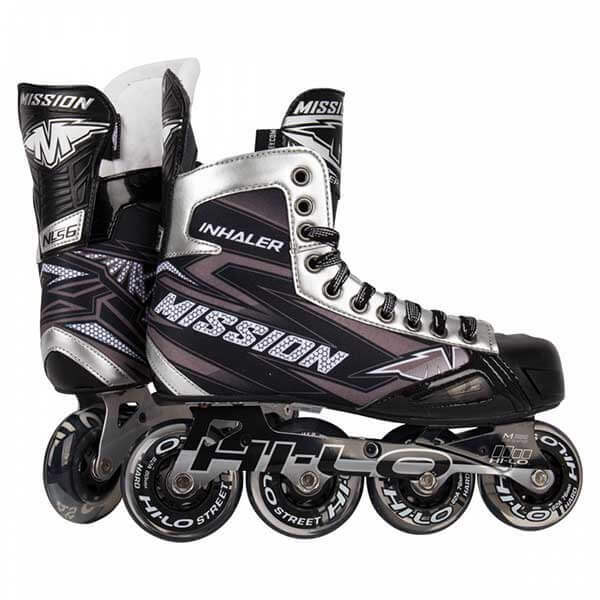 Mission also incorporated their ventilated Inhaler Toe Cap and Boot Vent that keeps you cool and dry all game long. 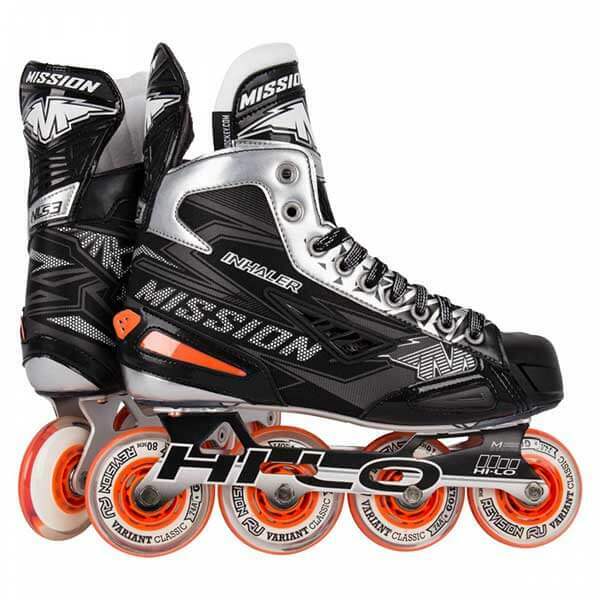 Holstered in the one-piece aluminum Hi-Lo frame sit Labeda Union indoor wheels that boast high-end grip and stopping power.The Mission FZ-5 excels in not just comfort and performance, but protection too. 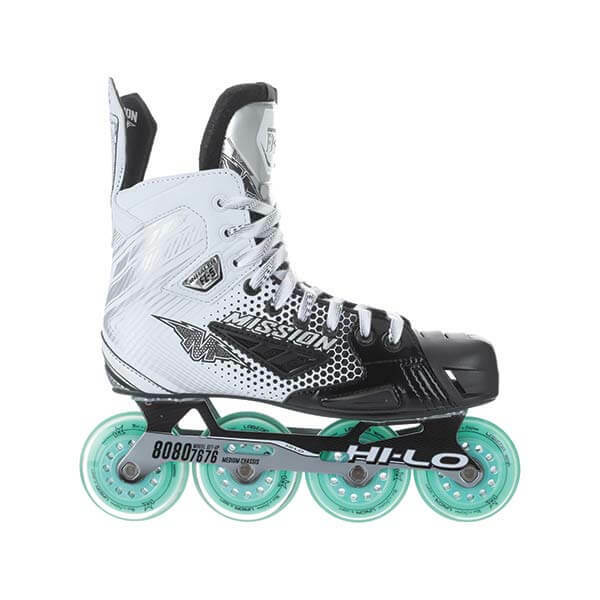 The thick 48oz black felt tongue utilizes a foam insert through the center that protects the top of the foot from impacts from pucks or sticks while also preventing lace-bite pain. 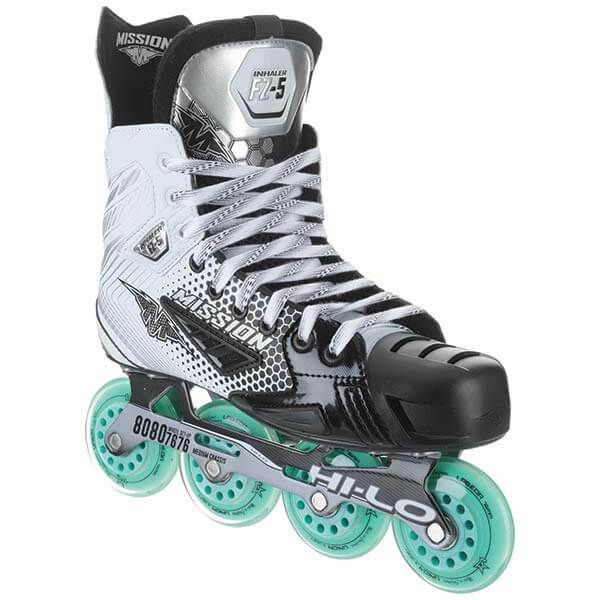 The thick foams in the liner provide a comfy fit like previously mentioned but it also helps to dissipate impact energy from blocked shots and slashes too.